Most people are familiar with this version of Shift - but kegs are now an option. ...well, no more. As of last night, it will be available in kegs and Sprengers was one of the first to get one. Naturally, I had to try it. My first impression came from it's color... very dark for a lager. But the taste and mouth feel was all lager... crisp and clean. Aromas well blended from the Nelson Sauvin, Cascade and Liberty hops with the toasted bread quality from the malts, which also account for the color. A true session beer at 5% abv and only 29 IBUs, this could easily be a popular thirst quencher while engaged in sunny, outdoor work activities. Or poolside. Darker than most lagers, and if I hadn't drunk so much of it, the photo would show that a little better. 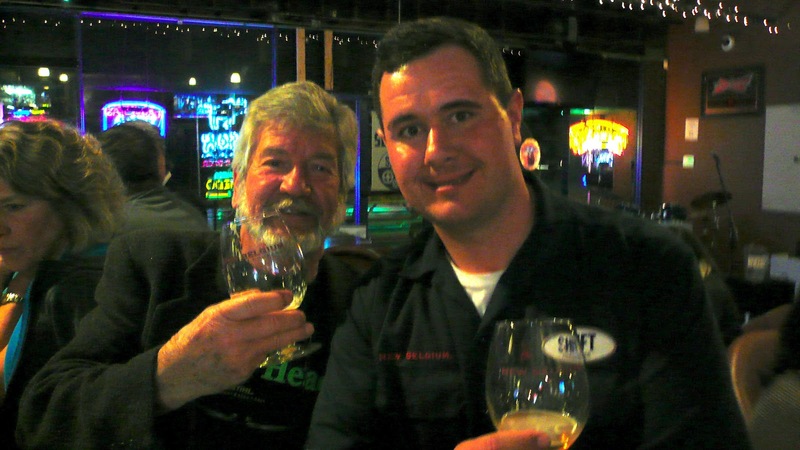 And speaking of work, I had the good fortune of talking with Ryan Stokes, New Belgium Beer Ranger (official title! ), who was shepherding the kickoff event at Sprenger's, who gave the back story on the beer's name. Ryan Stokes, (right), Beer Ranger, explained the name, Shift, while I busily emptied my glass. 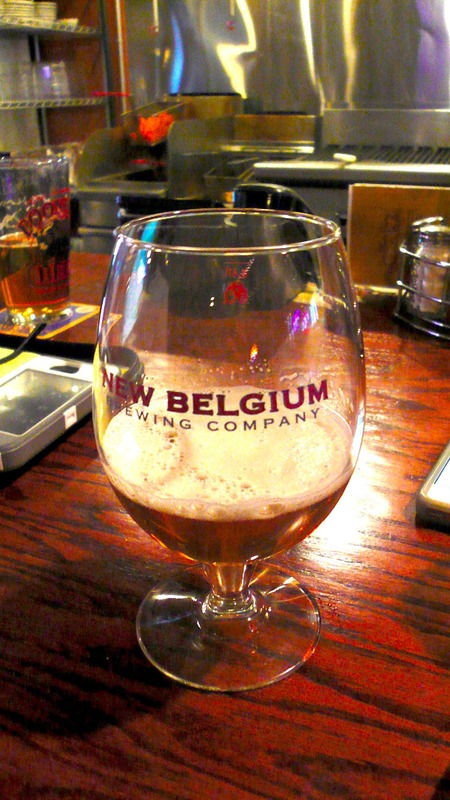 Seems that since New Belgium is the nation's third largest craft brewer, producing all that beer requires nearly a 24/7 operation which is conducted in shifts. So the practice is that each shift ends with everyone enjoying a beer...my idea of a great way to end the work day! New Belgium seems to want everyone, everywhere to celebrate the workday's end with a beer and this easy to drink pale lager, Shift would be a good choice.